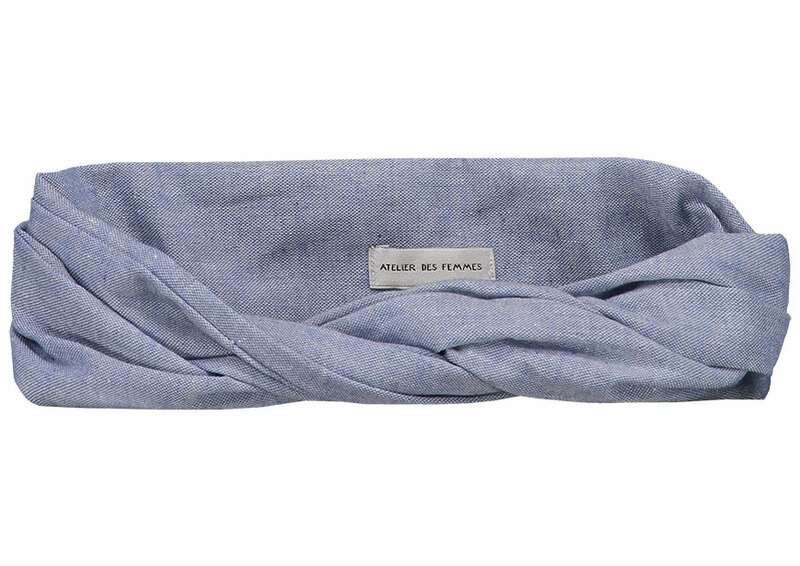 This blue headband is made with an aluminum wire to ensure a comfortable and perfect fit. Wrap the headband around your head and make it your own style! See the video below to tie your bandeau “the original way”. For more ways to tie you bandeau check out our How to tie page.